Leah DeFusco is a senior Public and Community Health major. In her free time you may find her volunteering at the Southern Tier AIDs Program, working at a local thrift store in the Ithaca Commons, or writing in her journal. She enjoys starting books and not finishing them, snoozing every alarm she's ever set, and daydreaming about her future garden. Carly Hough is a photographer and visual artist born and raised in the Rocky Mountains of Colorado. Her work concerns the unconscious, solitary moments of life, and dreams. Carly is a sophomore pursuing a Film, Photo, and Visual Arts BFA in the Park School of Ithaca College. Carly is known for her colorful images and is inspired by ’80s horror and feminist artists of history. Kyra Skye is a junior Writing major with a minor in Audio Production and from a magical realm called Nyack, New York. Writing is one of her favorite ways to express herself — it helps her make sense of the world and give her a new perspective on her own internal dialogue. 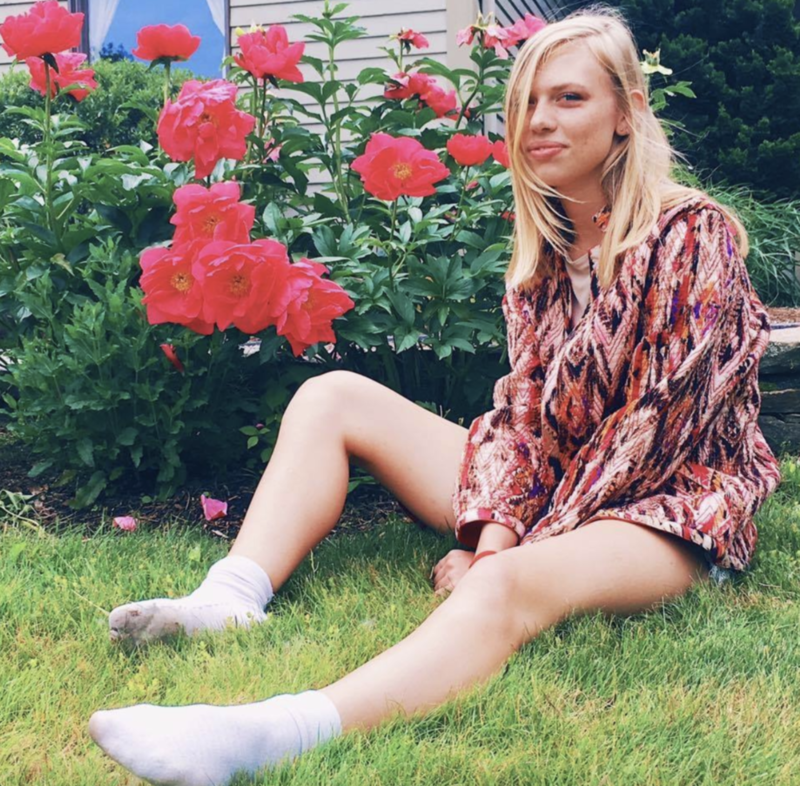 When she’s not writing songs in her room, you can find Kyra performing on stage, journaling on the campus quad, hiking at Buttermilk Falls, or drinking tea with friends. Sophie Westergren is a junior Writing major at Ithaca College who specializes in creative nonfiction. Sophie likes to explore her curiosity on how our past experiences can shape us in a way that taps into her creativity. Through these passions, she has discovered writing and has become particularly interested in the long essay. Outside of her work, Sophie is a member of Ithaca College’s comedy improv troupe, The Acahti Players, and she is passionate about finding the best music of every genre. Suzannah Van Gelder is a junior Culture and Communication major with minors in Spanish, Linguistics, and Writing. Her fascination with writing began at a young age with books like Alice in Wonderland and The Phantom Tollbooth, but her interest in the craft was truly piqued during middle school when her mother gave her a copy of Breakfast of Champions. While at Ithaca College, she has recorded music and directed and acted in student films, musicals, and theatrical productions. Suzannah also serves on the executive boards of Spit That! poetry club and Chabad of Ithaca College, where she manages communication for both groups. In her limited spare time she can be found experimenting with makeup, spending time with her friends, and sketching out ideas for new tattoos. 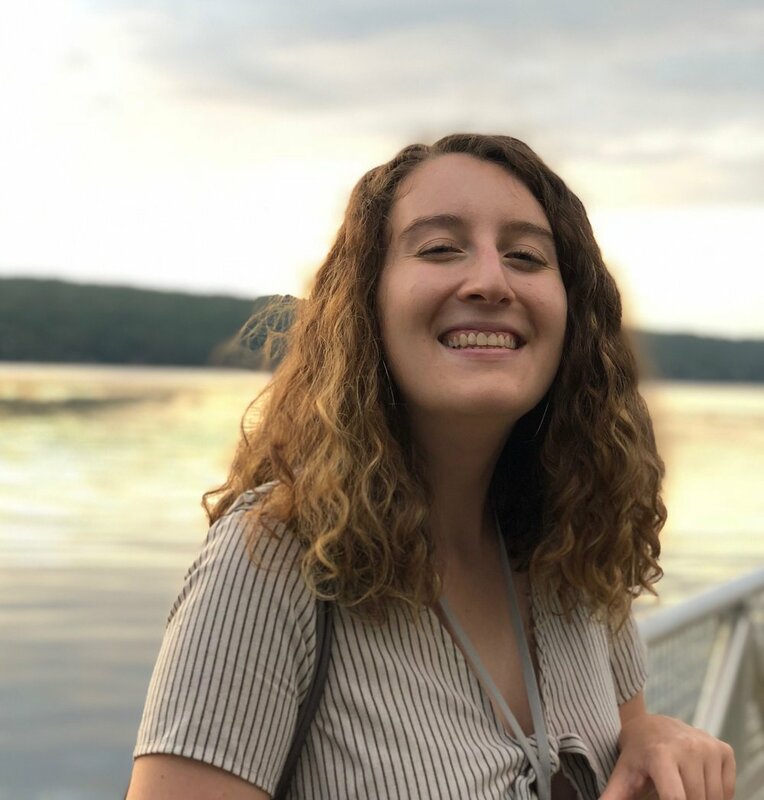 In the summer of 2019 she will be conducting Linguistics research of her own design as an H&S Summer Scholar of Ithaca College. Kelly Auricchio is a senior double major in Writing and English and is from Amsterdam, New York. She is a fiction editor for Stillwater Magazine and ZoetIC, as well as a marketing intern at Cornell University Press. After graduation, Kelly will be attending the NYU Summer Publishing Institute to pursue a career in book and magazine publishing. She is a huge fan of puns, the color indigo, traveling, and going on late-night adventures with her roommates. Jordan Gallant is a double major in Documentary Studies and Production and Writing from a small town in Connecticut. She finds herself most at home in the world of poetry, but her career at Ithaca College has lead her to find passion in memoir and most recently image-text work. She was recognized as a runner-up in the 2018 Writing Contest in the poetry category. Outside of Stillwater, her work has appeared in States of Mind. Jordan spends most of her time tutoring in the Writing Center or sitting on her apartment couch watching her snake, Venus, slither around her tank. My name is Nnebundo Obi, I am a sociology major with minors in Art and the Honors Program. I am also part of the Martin Luther King Scholarship Program here at IC. When I am not volunteering downtown or writing copious amounts of papers for my classes, I enjoy arts and crafts and listening to all kinds of music. More specifically, I enjoy making designs for paintings and prints during my spare time. I also enjoy photography, amateur people watching, heated debates, non-English language films and, well, cheese… lots of cheese. On the odd chance I get some spare time, I can be found binge watching documentaries on YouTube or reading. Gianna Caputo is a senior, graduating in May with a Bachelors of Science in Communication Management and Design. She enjoys printmaking, ceramics, and writing poetry. Gianna finds poetry an integral part of her life, as it allows her to interpret the world through her lived experience. In her free time, Gianna can be found in the library or in Gimme! Coffee with a pile of books and her latest creative endeavor. Allison Reynolds is a sophomore Writing major and English minor. Her hobbies include cooking with her mother, thinking about new tattoo ideas, correcting grammar, and wearing denim on denim (see picture). Allison deeply loves poetry — particularly that of Richard Siken, Seamus Heaney, and Frost — and has recently discovered a pull toward personal essay. She often describes her writing journey as something unavoidable, something that can be as necessary as breathing. Sometimes, she dreams of living a quiet life in the lakes region of New Hampshire, spending her days writing nostalgic poems about her childhood. Others, though, she wishes to feel the hum and heartbeat of her favorite city — Boston. Lisa Booth is a junior Writing major at Ithaca College with minors in English, Education, Counseling, and Honors. She loves to dabble in all forms of writing genres because she doesn't want to limit herself to just one. She also enjoys playing around with the form and structure of a piece in a way that is intentional and allows for the work she creates to work together and on its own. When she isn't writing ambitious new braided or hermit-crab essays, she can be found in the Writing Center or out-and-about laughing with friends. Her work Blue was named runner up in the section of Image Text in the 2018 Writing Department Contest and her work has been published in Animal Literary Magazine. While she hopes to continue publishing, her main goal is to use the craft of writing to help others. Katherine (KK) Langford is a freshman Writing major with an Animation minor, all the way from Atlanta, Georgia. They love writing more than anything else in the world. Well, except cartoons and anime. You can catch them re-watching How to Train Your Dragon any day of the week. Their favorite genre is young adult fantasy, and if they could be any animal, it would be a dragon. They’re a sucker for every kind of romance. They are currently writing a fantasy novel, which they dream of publishing. Some hobbies of theirs include: sleeping, baking, and going to the bookstore. Will Cohan is a senior at Ithaca College studying Cinema and Photography with a concentration in photo. He also has a minor in Writing. In photography, Will focuses on making black and white images of nature and finding new ways to edit them. He sometimes likes to experiment with color and mix photography with drawing. Some of Will’s photographic influences are Man Ray and Wynn Bullock. He has also made some image-text projects and short stories for his writing classes. Outside of class, Will works on writing and editing satire as the Sawdust editor for Buzzsaw Magazine. 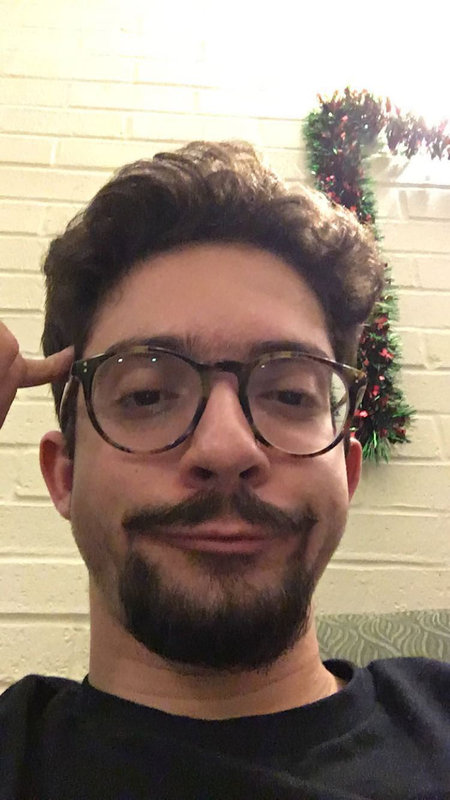 Alexander Massoud is a senior Physics student at Ithaca College. Despite this, he finds himself drawn to words and the way they sound. These interests often help him explore questions about himself and the world around him. In his spare time, he watches professional wrestling and gesticulates wildly to his roommates (often simultaneously).